The 2004 Nobel Prize for Physics awarded to Frank A. Wilczek, H. David Politzer and David J. Gross is hereby cancelled. My critiques are always done in a humorous vein. That is the sane thing to do when dealing with this new scourge of the diabolic intellectuals who deceive mankind. 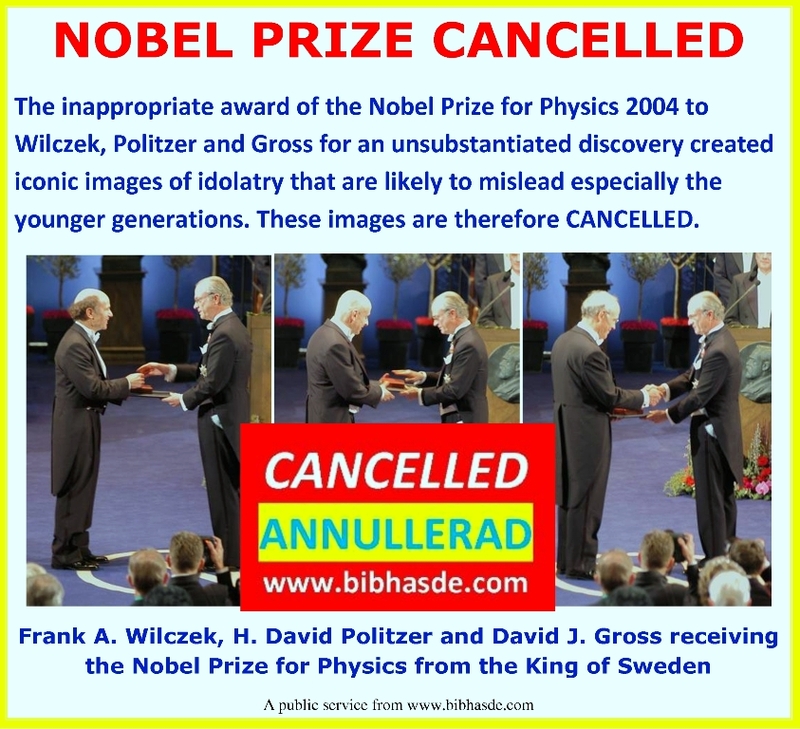 Wilczek, Politzer and Gross Physics Nobel Prize is cancelled. When Dreamheron cancels a Nobel Prize, it is no laughing matter. 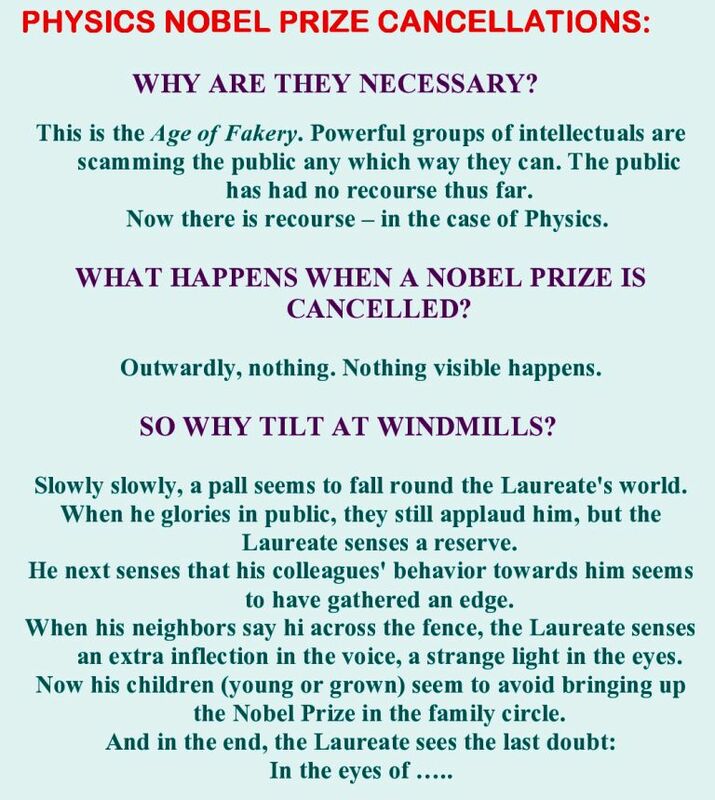 The prizegivers cannot rescue their Laureate. Last time around, they tried to rescue their man by devising a booster Nobel shot: They created the worldwide feting platform called the Nobel YouTube, and presented their man anew. It did not succeed. This entry was posted on March 23, 2010 at 2:24 pm and is filed under Bogus discovery of Wilczek. You can follow any responses to this entry through the RSS 2.0 feed. Responses are currently closed, but you can trackback from your own site.